Mr. Larry Bruce Joyce, 82, of Bennett, N.C., died peacefully on Sunday, September 30, 2018 at the Randolph Hospice House in Asheboro, N.C. The family will receive friends from 5:00 – 8:00 p.m. on Tuesday evening, October 2, 2018 at the Joyce – Brady Chapel in Bennett, N.C. The funeral service will be conducted at 2:00 p.m. on Wednesday, October 3, 2018 at Bennett Baptist Church with Rev. Tim Strider presiding. Burial will immediately follow in the church cemetery and the family and friends will return to the fellowship hall. 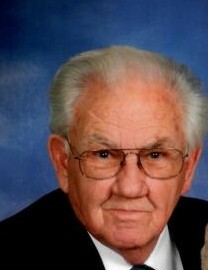 Larry was born in Randolph County in 1936, son of the late Andrew Jackson Joyce and Cloyce Brady Joyce. Larry was a man of many skills and talents, working in both residential construction and the automotive repair business. He was a Funeral Director for 43 years working along side his brother Lindsay. They owned and operated Joyce – Brady Chapel in Bennett for 40 years. 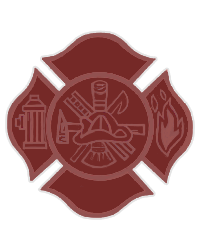 He was a Charter member of the Coleridge Fire Department and later served with the Bennett Fire Department. He was a member of the N.C. National Guard for 10 years and a faithful member of Bennett Baptist Church serving most recently as a Deacon. Larry loved to fish the ocean, lakes and rivers as time would allow but was committed to serving families in their time of need through funeral service. A kind and gentle man would best describe Larry, always willing to help those in need anytime and anywhere he could. His kind mark on this world will remain in the hearts and minds of all who knew and loved him for generations to come. In addition to his parents, he was preceded in death by his brother J. Lindsay Joyce in 2011. Larry is survived by his wife of 63 years, Betty Ann Curtis Joyce of the home; one brother, Laverne D. Joyce of Fayetteville, N.C.; sister-in-law, Ollie Joyce of Bennett, N.C.; nieces and nephews, Kellie J. Garcia and husband Dennis of Asheboro, Kim J. Mounce and husband Danny of Mebane, Douglas and wife Rosemary of Apex Michael and Alexia Joyce also of Apex, David Joyce of Raleigh and Greg Grimes and wife Debbie of Siler City; great nieces and nephews, Hayden, Hunter, Faith Rose and Lana and a host of family and friends. Flowers are accepted, or contributions may be made to the Bennett Baptist Church Building Fund P.O. Box 213 Bennett, N.C. 27208. Pallbearers will be members of the Bennett Fire Department and Deacons of the Bennett Baptist Church will serve as Honorary Pallbearers. It is requested that all Active and Honorary pallbearers be at the church on Wednesday by 1:15p.m. Larry’s family wishes to thank each and everyone for their kindness and outpouring of love during this difficult time. Joyce-Brady Chapel is honored to serve the Joyce Family.